My friends and I took a trip to Calvert Cliffs this past September, and boy did we go at the worst time! The weather couldn’t have been nicer, but even though the skies were clear, Hurricanes José and Maria tag-teamed the east coast causing coastal flooding. THE WHOLE WEEK. And the tides never went down for us.. 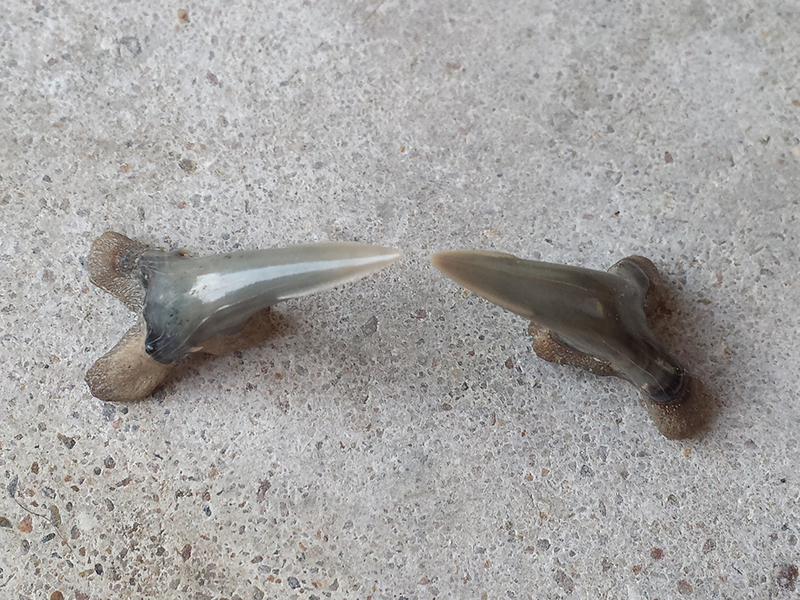 Somehow we managed to find a few teeth – and a few cow shark teeth! I was pretty stoked about those, and the gorgeous scallop shells! Day 1 – St. Leonard. Pretty pitiful! Day 2 Brownies Beach – also pitiful! A Chesapecten fossil scallop – They were weathering out of the cliffs! I found this one in the surf. Chesapecten. This one had both valves attached! A whole BED of Chesapecten! This summer, while cruising a craft show, a beautiful faux stained glass angel wing caught my eye. The artist used 3-D paint on a sheet of clear glass and it was super pretty, but I didn’t get it because the snob in me wanted the real deal. It was then that I decided that I wanted to learn stained glass. I watched a ton of YouTube videos, bought some equipment, and FAILED on the first step of cutting the glass. When I was a child, I cut my hand pretty bad when I fell while I was running with a crystal goblet filled with chocolate chips (another story). Ever since then I’ve been afraid of breaking glass. That first score I made in the glass was not a good score. It broke all wonky and although I put it down that day, I enrolled in a class and have been slowly learning this summer. This was my first piece: A cross. I figured, how could I go wrong with a cross? Well, I broke the glass all funky the first time I cut it, then I found out the hard way that my brand new iron hadn’t been tinned, so it charred the lead and burned right through the copper foil. I had to bridge it and all kinds of stuff. But, I think it turned out perfectly imperfect for a first try and it has a special place on my mantle! Finished – all patched up – with the guilty untinned solder-tip in the pic! Since I finally figured out how to cut wings, I took a stab at an angel wing. It’s OK, but I need to go back to the drawing board and refine the shapes. Next, some fun for my niece – a cupcake and a mermaid admiring a REAL fossil shark tooth (of course! ), plus a few projects for friends! Here are some finds from my most recent Mississippi trip. Lucky for me, I found a gorgeous honey-colored sawfish rostral tooth and my first Cephalic Clasper from a horn shark – Probably Hybodus! Here are some cleaned up photos of some of my favorite finds from South Carolina! Pieces of mammal teeth including horse, mammoth, bison, and on the far left is a capybara incisor! Some pretty shells that I found overnight! South Carolina Beach Hunting at Night! We recently enjoyed a second trip to South Carolina, and found so many lovely fossils right on the beach! Whenever you visit a beach, go sit in the shell hash and you’ll find all kinds of cool things! These were found over a couple of nights of fossil hunting, but doesn’t include everything we found. That first night, I texted back and forth with my MoM as I found them and it was SO MUCH FUN! First meg chunk of the trip! This meg was buried in the shell hash! Great White – love the color! 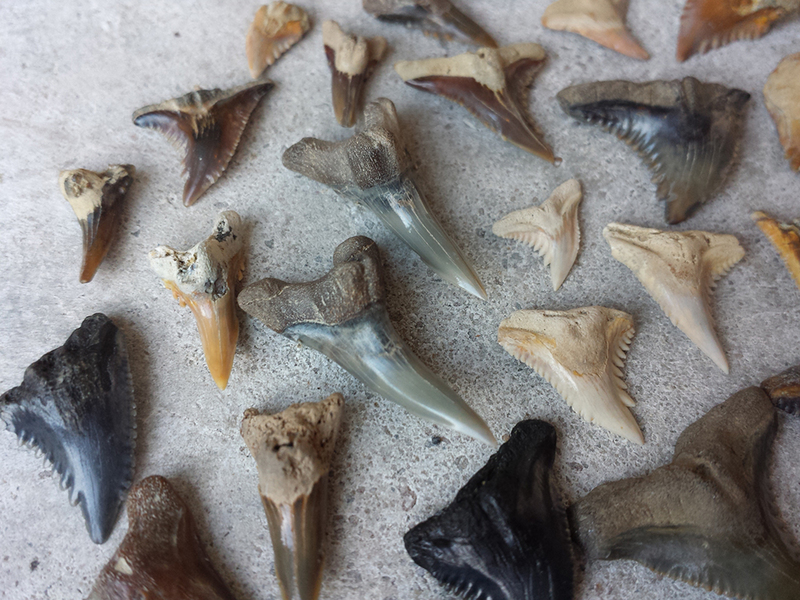 Megalodons, Great Whites, Bulls, Tigers, and part of a Mako!. A super awesome find! 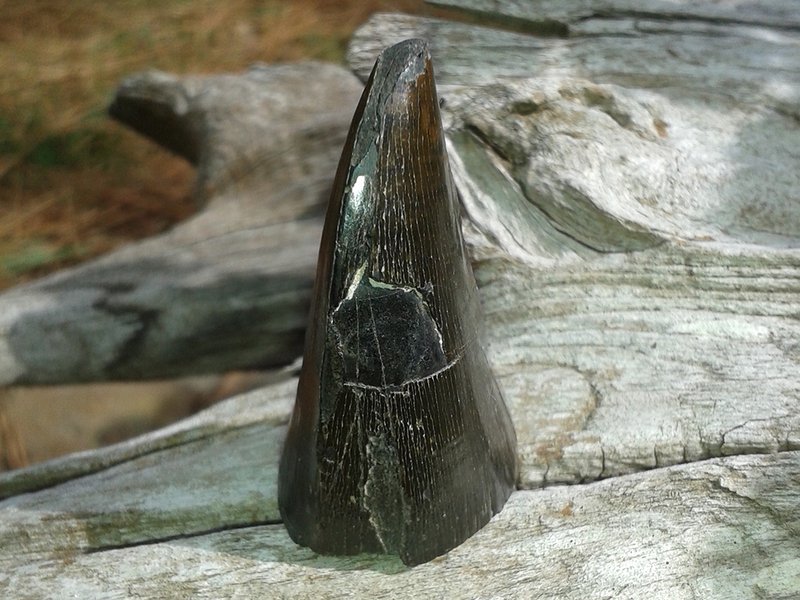 A posterior Megalodon sitting right there in the shell hash! I found this gold Great White in the surf! A Meg, Great Whites, Makos, and Tigers! A huge chunk of a vertebra! 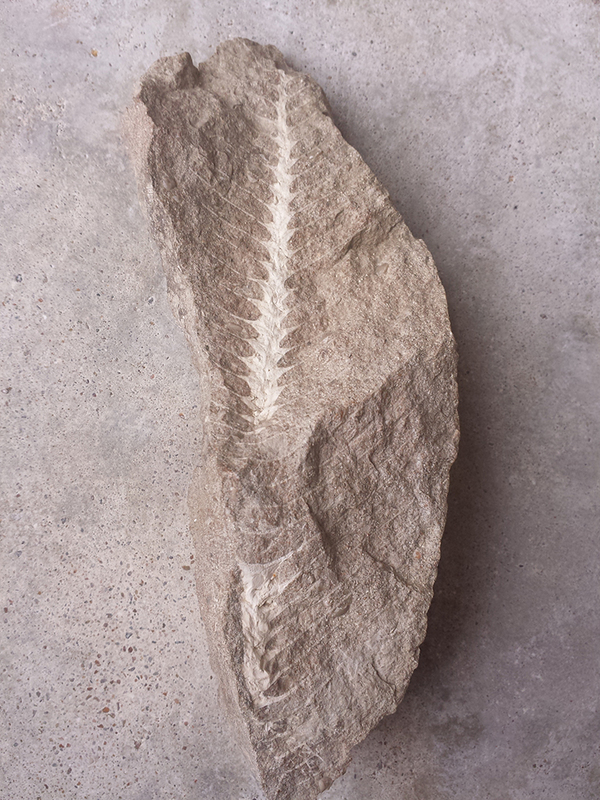 This one is going to go down as one of my favorite finds in my fossil-collecting lifetime! I found this incredible, gigantic, articulated Archimedes in a road cut in Southwestern Kentucky in 1997. We found many delicate “corkscrew” stalks, brachiopods, and blastoids in the same area, but upon walking a little farther down the road I came across some oolitic limestone where this buddy had cleaved off and was lying on the ground in the brush beside it. That section of oolitic limestone was massive and not easy to chunk off, but there were a few other, smaller Archimedes in that also. You can see part of another one in the chunk with the larger one below. Archimedes fossil. This is how you typically find Archimedes because they are so delicate. 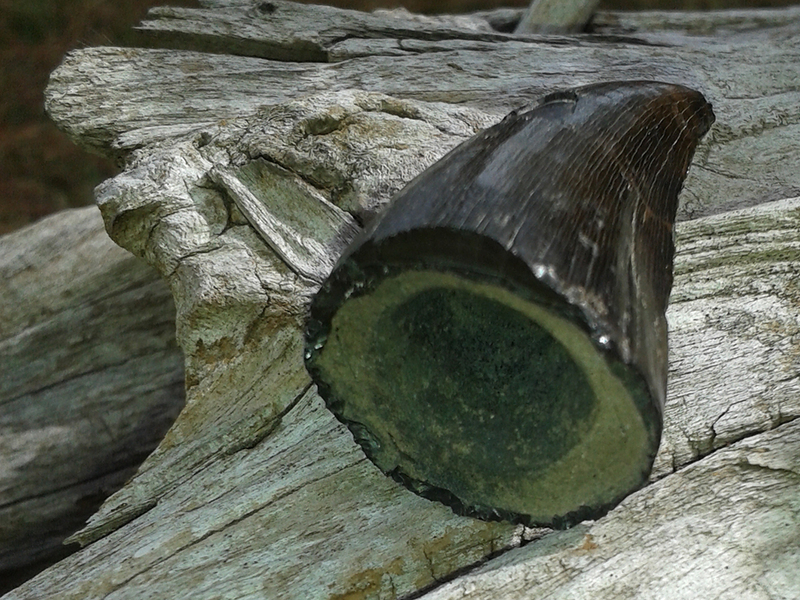 This tooth was found by Nathan Rickman at one of the Cretaceous sites that I like to visit. 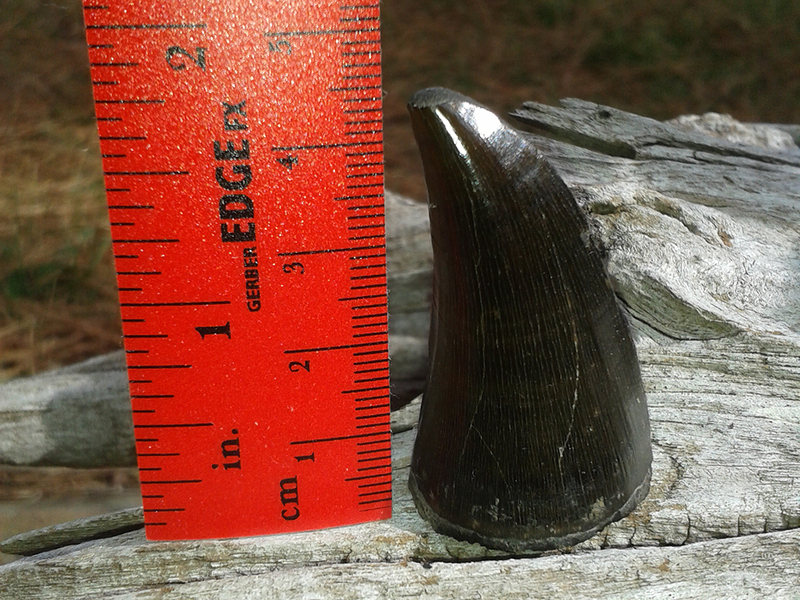 The tooth is over 1.75″ long, which is larger than any other mosasaur tooth that I have seen from that site. Amazing find, and one that I couldn’t help sharing! Thank you, Nathan, for allowing me to share your pics! The Ben E. Clement Mineral Museum was very cool.. and we ended up finding a few treasures there that we couldn’t go home without! Check them out sometime! 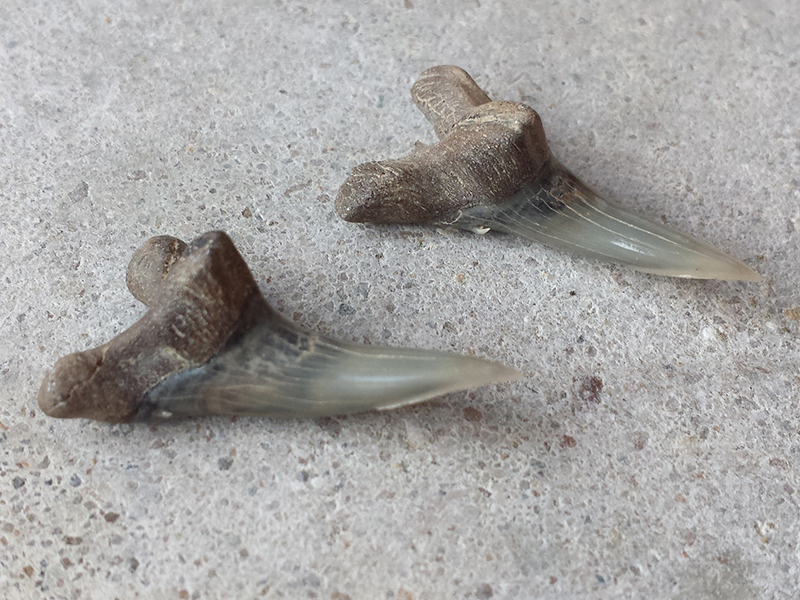 I was so happy to find these two lower Hemipristis serra teeth on my South Carolina vacation. 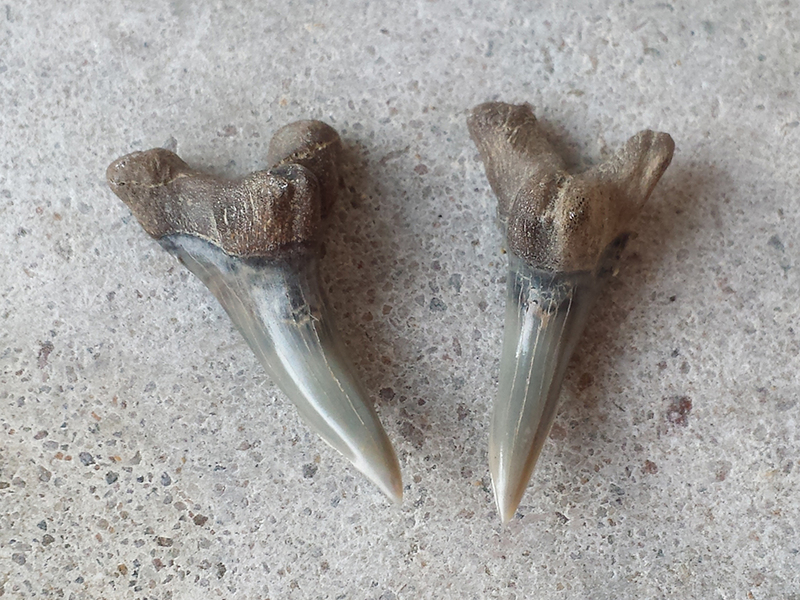 They are in pristine condition and are two of my very favorite teeth! It is hard to see unless you look very closely, but they have these tiny, super-sharp cusplets that are just like needles, even now! I love the roots of the lower hemis. They can stand easily on their own. Look how razor-sharp those blades are and how they flare at the tip! My favorite fossil – my Mississippi Globidens! I’ve been taking photos of my Cretaceous Mississippi fossils and am having a droolfest over my favorite of them all.. my Globidens alabamaensis Mosasaur tooth! It deserves its own page. Look at the rippled enamel. It is a work of art to me! I will never forget the day I found it. April 22nd, 2016. My MoM and I took two days to spend at the site. When we got there, the water was muddy and high and a local was standing there shaking his head saying this was not the day to collect. We saw two snakes there two weeks before and as fearful as I am, I couldn’t sleep for the thought of them everywhere 🙂 We asked him about snakes and he said a woman got bitten by a water moccasin there the year before. He said he has seen mostly water snakes, but has also seen water moccasins and copperheads there, so he did absolutely nothing to squash my fears. We decided to go in anyway… it was my shark tooth “crack” addiction pushing me in. I brought snake gaiters to wear and the water ripped one right off my leg. Just a few minutes later I also lost my good sieve (which I thankfully found the next day). I was so upset that I took my MoM all the way down there and it was sure to be a bust (and that I “littered” on Earth Day, no less). She asked me if I wanted to go back to the hotel, and I suggested one more place to try first. We found a few shark teeth, and then, out of the muddy water, this beautiful Globidens rolls to the side of my sieve. I nearly lost it! As pretty as it is in these photos, it was glistening.. almost iridescent in the sun. It’s all I could think about the rest of the day. I was just thanking God that He gave me something so special and that he kept us safe from the snakes and high water. Here’s a rendering of what Globidens alabamaensis, a shell-crushing mosasaur might have looked like in life. Cretaceous sharks, rays, skates, bony fish, and reptiles! So, Why Art and Geology? NATHAN SCHOLTEN on Found a new tooth!